Seeing the comment recent online comment about a gamma match as I have noted from research online, NEC does not support modelling of the match component reminds one of the unreliability of online sources. This appeal to non-authority is fallacious, this writer writes as if it is fact that NEC does not support modelling a gamma match, and that is quite wrong. NEC has limitations on geometry elements relative to each other and to wavelength, and those apply not just to the gamma match, but the entire model. It is the modeller’s challenge to stay within those limitations. The subject question is often asked, and the usual responses are mindless recitals of Rules of Thumb (RoT). 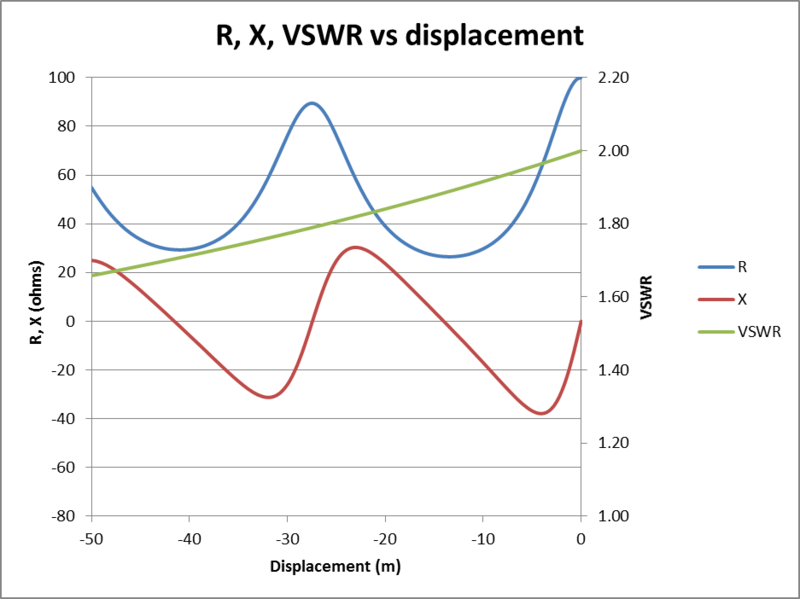 Lots of hams recite a rule that accurate measurement of VSWR can only be made at the feed point or an integral number of electrical half waves from the feed point. 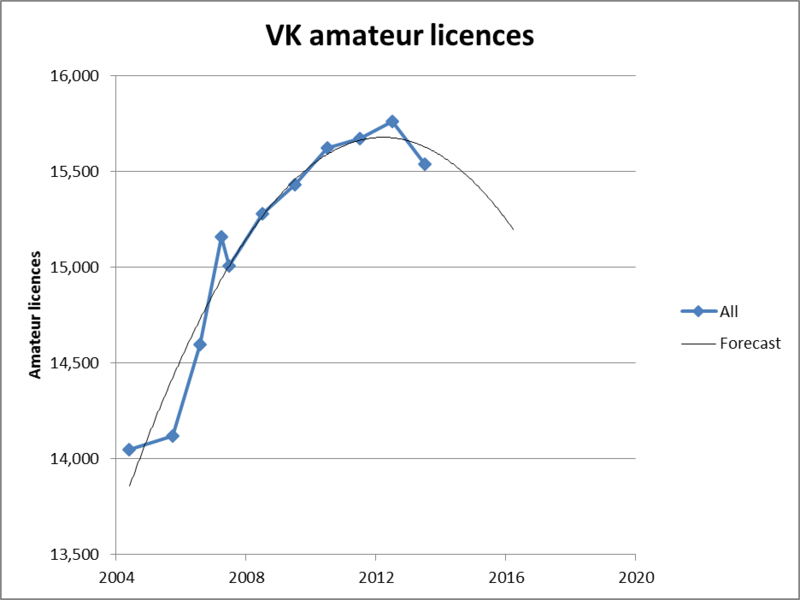 In a recent posting on VKLOGGER, I posted the graph below of licence trends to Jun 2013. I wonder who it really was who first said “Lies, damned lies and statistics”? – the last point on the graph totally influences the outcome. Take that point away and there’s quite a different (rising) trend line. – Is this final point influenced by some other effects (e.g. changes or delays in license processing …)? 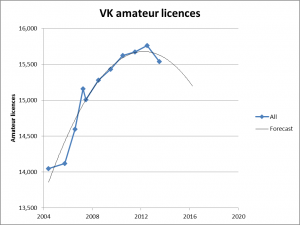 – why should a second-order polonomial be used to model number of licenses vs. time? Why does it have to have a turning point? – if the same analysis had been done after the 2007 data had been released, the trend would be even more disastrous. However, reality was much different. So, I don’t (yet) believe the sky is falling. This is a 2014 update of an article written originally in October 2005, earlier editions published on VK1OD.net which is now offline. 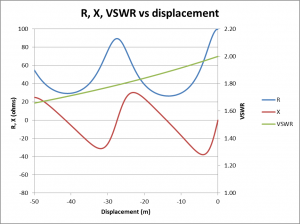 This article explores the way in which VSWR varies along a feed line. 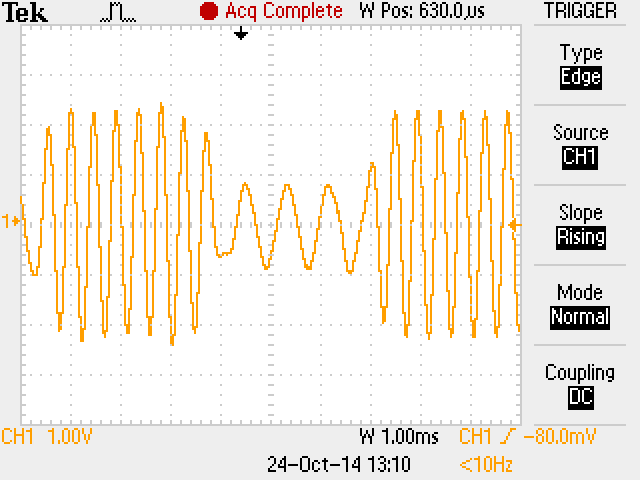 The graph above shows R and X, and VSWR along a feed line with a 100+j0Ω load at 3.6MHz. 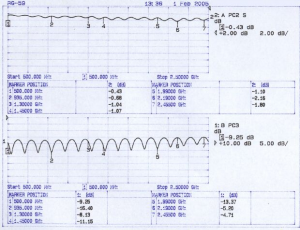 The feed line is Belden 8262 50Ω coax, manufacturing tolerances are taken to be zero, and the displacement is relative to the feed point, ie -ve distance is distance before the feed point, the feed point then is at the right hand side of the graph. A SPICE model for a Ruthroff 4:1 balun. A reader of Why the preference for Guanella 1:1 current baluns for HF wire antennas asked if a similar model can be built for a Ruthroff 4:1 balun. Hams tend to insist that the Ruthroff 4:1 balun cannot be represented by transmission line elements, but they are quite wrong. Continue reading A SPICE model for a Ruthroff 4:1 balun. 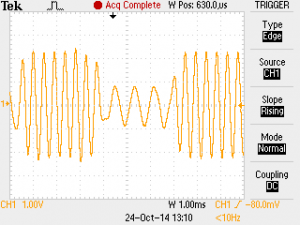 This post explains a technique to drive a KISS TNC with a specially constructed packet that contains an ISOCHRONOUS test packet, a packet that will produce equal high and low tone alternation in the transmitted AFSK signal. 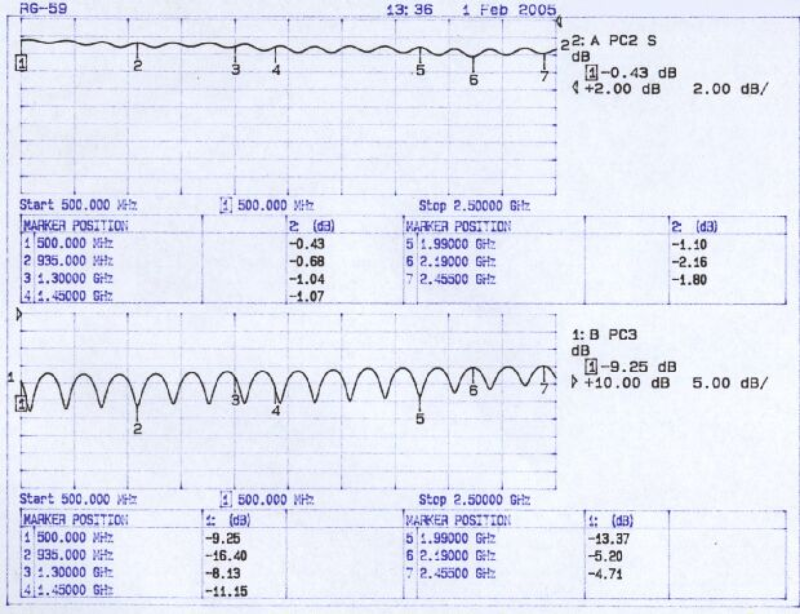 Above is the waveform recovered from a receiver without de-emphasis (a Motorola R2009D communications analyser in this case).